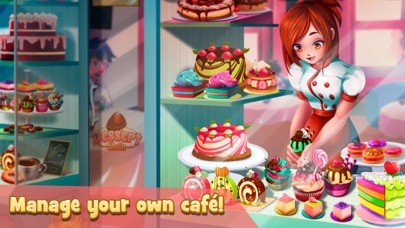 Cook and serve tasty desserts and drinks from all over the world in these FREE and addictive cooking games! I am sure you have always dreamed of having a chic and popular cafe where everyone goes not only because of the delicious breakfast but also to cheer up their mood! A place where everyone can enjoy a great customer service in a friendly environment... Make this dream of yours become true and start with Hazel the adventure of turning the old cafe into the greatest cafe-bakery ever! Hazel has just bought an old cake-baking business. She wants to become a successful bakery owner and hired you as a waitress. Help her to settle down and start cooking, baking and serving the best dessert and coffee in town in these time-management cooking games and become the best cafe waitress! Enjoy creating and baking the customer favorite's cake following mom's dessert recipes and become the most famous waitress and coffee maker serving exceptional drinks, cupcakes and a wide variety of tasty cakes! Try the black forest cake and experience the most wonderful taste ever! 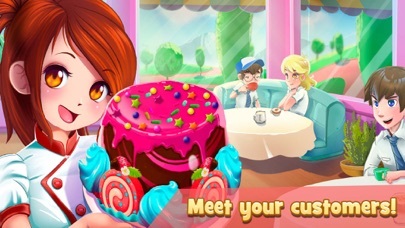 Meet every delicious cake you have ever imagined in these time-management baking and cooking games and become a great waitress! As a bakery and restaurant waitress you will be working hand in hand with Hazel in the kitchen trying to establish a profitable cake-baking business in our cafe cooking games full of surprises! 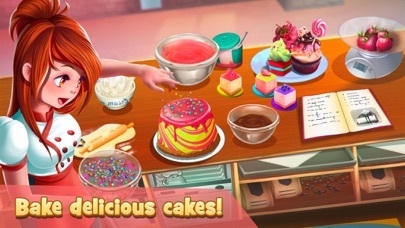 Become the best cake chef baking all types of desserts and recipes and have loads of fun with different types of kitchen appliances that these cooking games have! 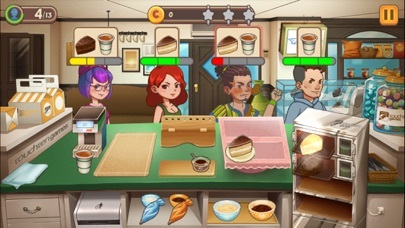 Enjoy dealing with different type of customers in a food maker cafe business, gain waitress experience points and remember: Happy customers means bigger tips to the waitress' cash register in these restaurant cooking games! Do not forget to claim your rewards after each level: Add new items to shorten your kitchen cooking time or add new selling items to increase your revenue in our cafe bakery food-maker game! 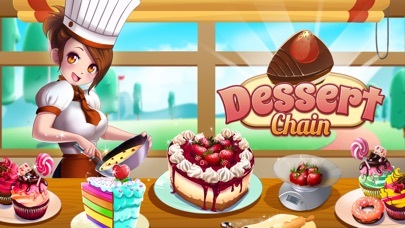 Upgrade your dessert recipes and restaurant decoration at the end of every level in these amazing cooking games that you won't regret to play! Start baking now your favorite dessert and help our cute Hazel to develop and upgrade her cake shop and make happier customers in this cafe game as a cute waitress! Turn the old cake shop into a successful baking food maker business and make Hazel's dreams become true! Cool game really like it but crashes after a few levels or an ad pops up and it crashes. This game is a good game. The art and animation is adorable, and it has a good concept. But it is one of those games that you like for a while, and then stop playing. It is a good game nevertheless. I was SO excited for this game, the look and how interesting it seemed as though it would be caught my eye. But i cant even get past the loading screen! A huge disappointment, and ive been waiting for an update or maybe a bug fix, and nothing has changed. Ridiculous. I emailed them about a month ago with a problem I’ve been having about not receiving my gems but, still haven’t gotten a response. It’s whatever. I don’t need them anymore but, this game gets really gem reliant. I finished all the levels awhile ago and waited for the “under construction” building to be released. When the update said “new levels” I got excited and thought something was added but, I don’t see anything new? Is that just me? Hangs on initializing on multiple devices. iPhone X and iPad.